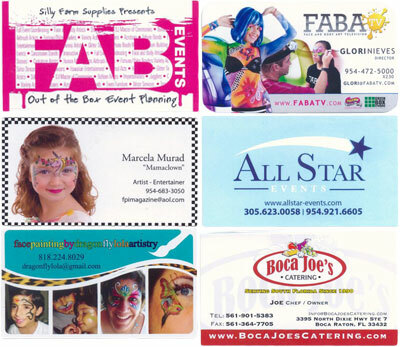 Your business card is your traveling billboard. Even though we are in the middle of a cyber society, having a physical card is still as important as ever. Whether I am mid-flight heading to visit family, or visiting the grocery store, you never know where potential business might be blossoming.Â When I travel I try to speak to as many people as possible. I always ask for business cards because I like to get to know the person. Whether you know it or not, a business card can say a lot about a person. A blank white card with just a name can relay the message that you are plain person, someone that is on the surface and this is what I do and how to reach me. A card with more colors and photos than you can make sense of, screams that you might be a colorful person that lacks focus. Creating a powerful card that can stimulate your business and send the message that you are open for business and know your stuff. Most of all, business cards make you seem more professional. The responses Iâ€™ve received are priceless. I honestly feel people like my card more and are less likely to throw it away. Some people might even keep it to check to see if there is food in their teeth. How ever you decide set up your business card, make sure to include your name (real name or contact name of the person who books events), No one wants to ask for Pickles the Clown. Include your phone number, website, and email. Keep it simple and effective. One great picture goes further than a collage of 100 images that they canâ€™t see. Here’s some business card examples. This entry was posted in Marketing & Business Tips and tagged business card basics, business card samples, business card tips, business cards, creating business cards, professional business cards. Bookmark the permalink.